It’s summertime and you know what that means…it means that if you attend a seeker-driven church your pastor can let his hair down and drop all pretenses of or appearances of actually being a Biblical preacher and he can instead preach about the latest blockbuster movies. It was fully predictable that America’s seeker-friendly churches would be turning away from the Bible and toward this rare Hollywood blockbuster hit. While Tinseltown is in a drought of hits and Hollywood box office sales were at an all-time low in January of 2018, the newest Marvel movie was a welcome savior to a dying industry. Helping the Messianic status of the film, America’s preachers are busy finding gospel themes in the movie that they can extrapolate into expositional points in upcoming sermons. Of course, this is nothing new. But, it’s worth documenting that churches are turning to a comic book film laced with ancestor worship and New Age necromancy, rather than the Bible, to teach spiritual lessons. 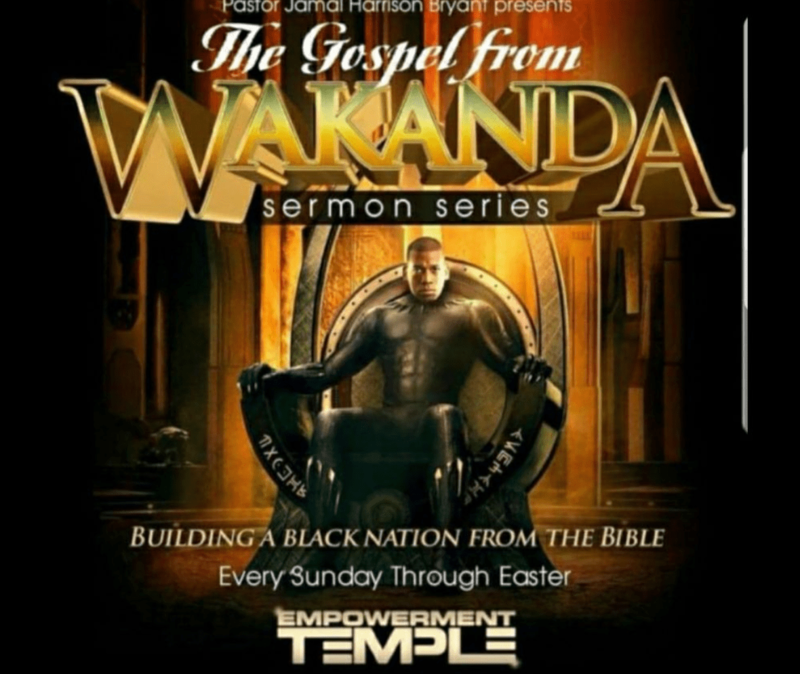 The “Empowerment Temple,” pastored by Jamal Bryant, is in the midst of a sermon series entitled “The Gospel from Wakanda: Building a Black Nation From the Bible.” It is heretofore unknown how Bryant likens the super-suit threaded hero or his fictional African nation to anything found in the Holy Scripture. Beginning last Sunday, the pastor invited his church members to dress in traditional African garb to take part in the festivities. The sermon series is designed to go up to Easter Sunday. 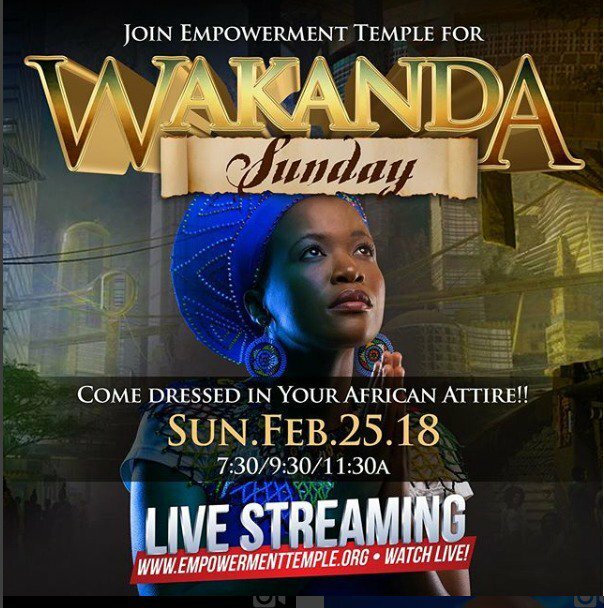 This charismatic black nationalist church is not alone in finding gospel themes in the movie inspired by a comic book series from Stan Lee, who is a “Jewish agnostic.” The Desiring God blog was also able to find gospel themes in the film, writing in a blog post entitled, At Home in Wakanda…. As Christians, we have a more deeply ingrained identity as citizens of God’s kingdom, and our challenge is to figure out what that looks like. How does our Christian identity inform and expand our cultural identity? What are the implications of the fact that our Christian identity unites us to people across cultures, borders, and bloodlines? 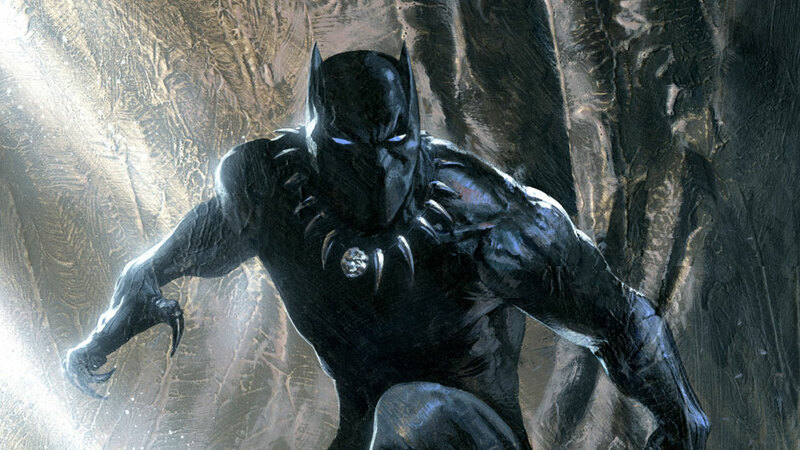 T’Challa tells the UN, “More connects us than separates us,” and that’s a powerful rallying cry for Christians spread throughout the world, a people made up of wildly different backgrounds and cultures. Through-out this movie there are scenes of idolatry and ancestral worship. This movie is very very spiritual from the get-go but not in a godly way nor standard. As a Christian when you watch this, you must do so being able to sieve through symbols, realms of demonic activity, the talking with the dead, astral projection and blood rituals. Being an African myself, I know that this was the way of living from my ancestors and so, none of this was new to me. Those who are not acquainted with African spiritual history, may not fully understand these things even from a godly spiritual point of view. One thing to note is that the movie is not trying to deceive the watcher into such things but is simply depicting the history of divinity and worship in the African kingdoms, especially those of Southern, Eastern and Western Africa. If you are a born again Christian you ought to know that God is the highest power and He is Sovereign. Especially among New Calvinists with a post-millennial fixation on redeeming culture and particularly among those who espouse Cultural Marxism, ever eager to prove their non-racist bona fides – like Piper and The Gospel Coalition – they are eager to find the same Gospel themes as the black nationalist church, The Empowerment Temple. For the rest of us, we enjoy movies because we like to be entertained. Finding Gospel themes in such things does not make cinema better; it only makes Christianity worse.